Last weekend was Lunar New Year. We spent the day visiting family and friends and temples. And of course, we did a lot of eating. There were so many firecrackers being lit throughout the weekend, especially in the San Jose area. 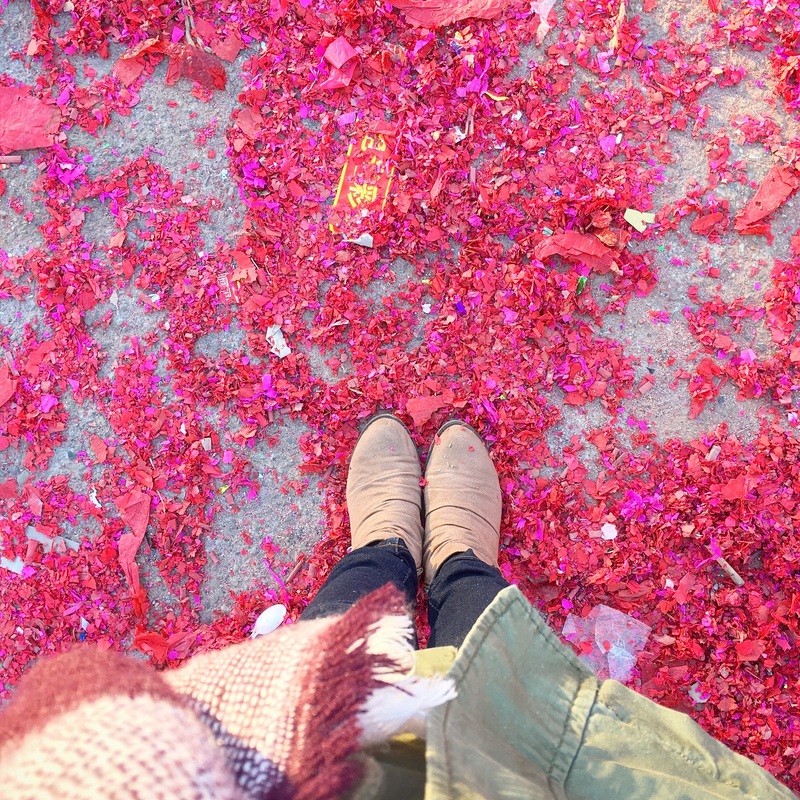 And the ground was like a sea of red and pink confetti! 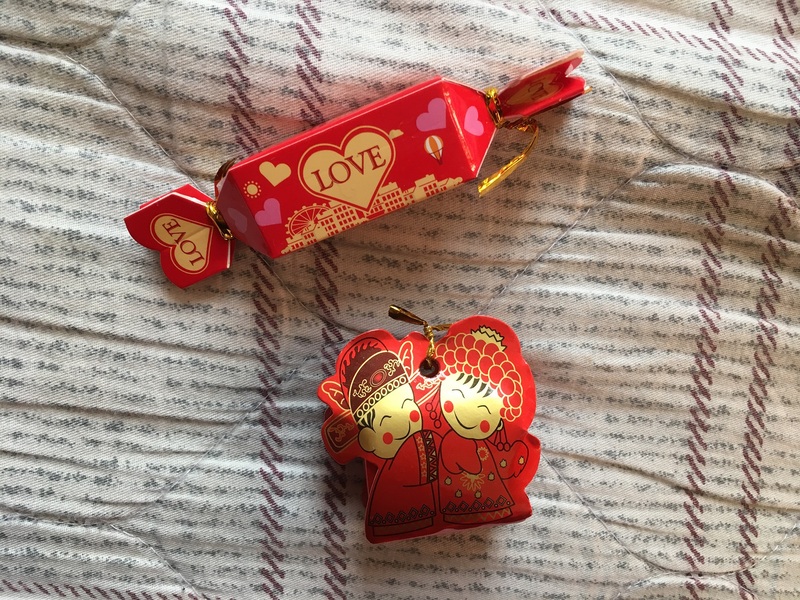 And aren’t these candies so cute?! Ben and Jerry’s Pint Slice Ice Cream bars! Where can I find these? Omg! I’m like drooling over these 5 ingredient strawberry cheesecake truffles. I mean, how gorgeous are they?! And they’re so perfect for Valentine’s Day. Especially as a homemade gift. Oh my gosh! These chocolate lava cakes look soo good. I mean, how can I resist all that chocolate. And will you be participating in the challenge? These cheesy stuffed pesto garlic bread <3 As if cheesy garlic bread isn’t amazing enough on its own, now there’s pesto too! I can probably finish this loaf all on my own. Cuz I’ve been obsessed with mac and cheese lately even though we’re nowhere near Thanksgiving, I feel like I need this roasted cauliflower shells and cheese. If you’re looking beverages to serve for Superbowl weekend, you might want to try this key lime beergaritas. Some days I need ideas for a weeknight dinner and this lightened up salsa verde chicken enchiladas with pineapple avocado salsa looks perfect for that. Or maybe this black bean turkey nachos with jalapeno yogurt. Looking appetizers to serve your guests? These chicken parmesan meatball crostinis would be perfect. Omg! I can seriously see myself becoming addicted to these buffalo cheddar soft pretzel twists with everything spice. And these pub style pretzels! Love that these salted almond and honey snack bites take just 10 minutes to make! How delish do these chocolate covered strawberry thumbprints look? Oh, this raw pitaya cheesecake is so pretty! Thanks for stopping by, Meredith! I love your weekly finds! I could totally stuff my face with that lava cake! Thanks, Ai! And omg, that lava cake, right? I seriously need it in my life.